Merry Christmas from us here at Bugbyte! Feel free to zoom in on screenshots if on small screen. 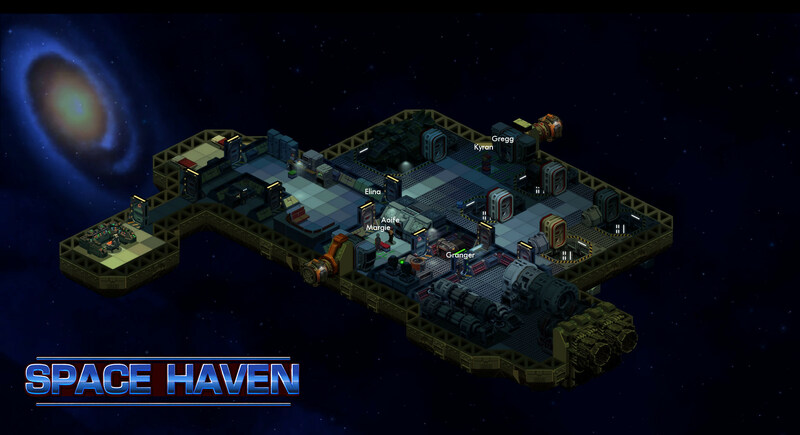 While Santa has been preparing for Christmas we have been churning away on Space Haven. Things are coming together, we are able to put more pieces together and start to experience the package as a game. There are still ways to go though, a lot of challenges have come up along the way but we are confident that we can overcome. I'm excited to show you the newest material of the game, I think the game is looking more gorgeous than ever but will leave it up to you to decide for yourself! Above is a ship designed for mining, a mining ship! 4 mining pods are able to launch from the pod hangars and go mine for resources. Two crew members put on their space suits and use jet packs to go claim a couple of mining pods left out in space. These should be useful for times to come! Team leader having a last debrief for the boarding party. We have encountered an unknown space ship and they are not responding to our hailing. Perhaps the ship is abandoned, could also be a trap! No life forms on this ship. However, we found some very valuable resources in the central storage, we will grab them and leave. Life aboard a ship. There are plenty of tasks to take care of, keeping the crew members busy. Life is not bad right now, but we never know what tomorrow might bring. We need to be prepared. Short video clips of game play below! Designing my very own space ship! Mining pods launch off to go mine for valuable resources. Mining pods return from their mission. Everybody chimes in and helps load off the pods. Time to leave this sector and jump into hyper space. OMG I'm really excited for this Looks good! Yeah! Feel free to ask any questions, if you have them. Probably the first question is going to be "When is this coming out?" I can't give a definitive answer to that yet, but we're hoping 2018 will be the year and that's what we're aiming for. Looks sick,and it looks fun,that's the most important part,can't wait to try it out. (12-21-2017, 03:55 PM)AdmiralGeezer Wrote: Yeah! Feel free to ask any questions, if you have them. Probably the first question is going to be "When is this coming out?" I guess the read question is- How far are you going to take this game? I am a sci-fi junkie and you could theme anything sci-fi and I will give it a chance. But how long I end up playing it will depend on how much it has to stand on. Is there going to be a campaign? or is it all going to be freeplay/sandbox? Will you have some character interactions with minor background story lines (crew squabbles, romances, banter, personal quests for each member, ect.)? Are you going to optimize it for a desktop platform or strictly mobile? how big is the economy and what factors are going to go into it (are there different factions in the galaxy that war against each other that then cause price fluxuations, or random plagues/starvations/disasters on planets to make shortages or missions to them)? It looks amazing right now and I have been following you guys for a while with some hope for it. This has the possibility of being the next star controller mixed with FTL if done right. Please don't just short sell it as a semi generic mobile game with some crappy pickup and delivery mission or some other generic game junk. It's great to see this game is coming together this beautiful way. Great works! 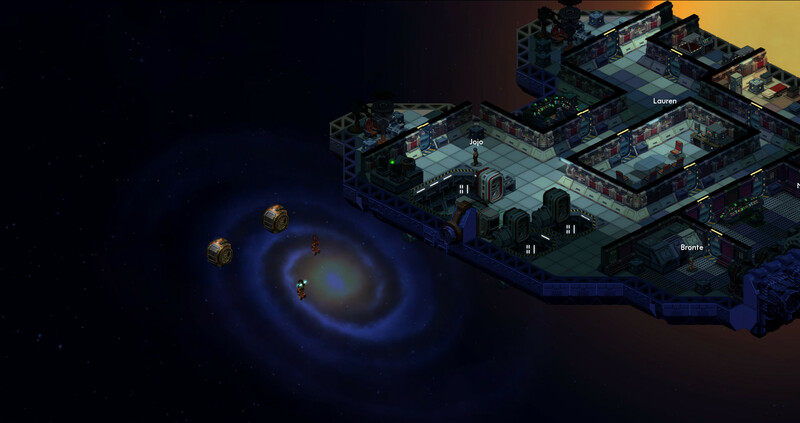 Indeed for a setting like this could take the players and sci-fi fans to many directions, will there be a possibility to make different story packs like Star Trek Voyager exploring unknown worlds, or like The Orville having a bit of humour and story lines with missions. Combining Battle Siege Sector wars to make up a fleet traveling universes... etc. Again, game is all on playability and how long can the players stays on the screen and keep it on device without deleting it. I still have Clash of Clans on my iPad after so many years, although I only occasionally play it. 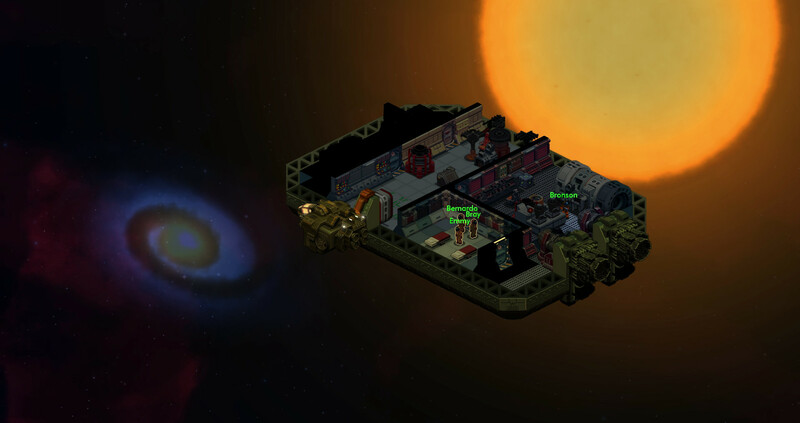 I am sci-fi game fan since I played Homeworld long time ago, now I play this type of games like FTL and Pixel Starships. This game would be amazing and unique if in some levels or missions we could really manually fly ships through asteroid fields or another space events like black holes, etc. It really would add to the spaceship management experience. This game look so awesome keep it up! The game is developed with PC as the primary platform, but we have also developed the game from the beginning with mobile support in mind. 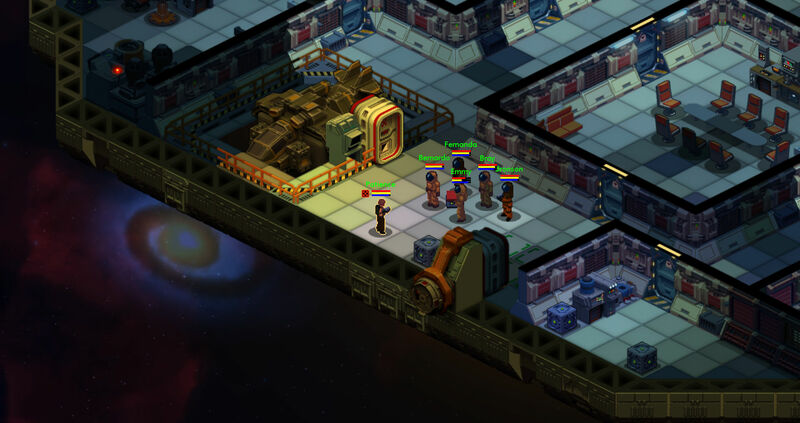 FTL is on mobile as well, and the game play of Space Haven is such that it's possible to get it working great on mobile too. 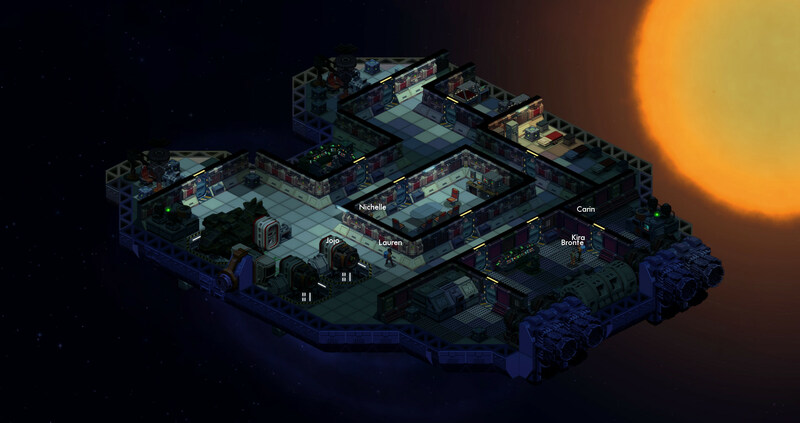 Regarding depth of the game a short answer to give a good picture would be: "Rimworld on space ships". That's the type of depth and fun we're aiming for. It's about how you build your space ship, how you optimize food production and resource gathering. Where you place your sleeping quarters and where you put your kitchen. And of course it's also about crew combat and space ship battles. We will try to create as much freedom and depth as humanly possible for our team.